It's true - these KEEN Men’s Grey/Black 1018024 Concord Waterproof Steel Toe Work Boots are as mean as they look. They're tough and rugged and made for outdoor medium duty work with waterproof breathable membranes and anatomically correct steel safety toes. These ... (see full details) (see specifications) #1018024. It's true - these KEEN Men’s Grey/Black 1018024 Concord Waterproof Steel Toe Work Boots are as mean as they look. They're tough and rugged and made for outdoor medium duty work with waterproof breathable membranes and anatomically correct steel safety toes. 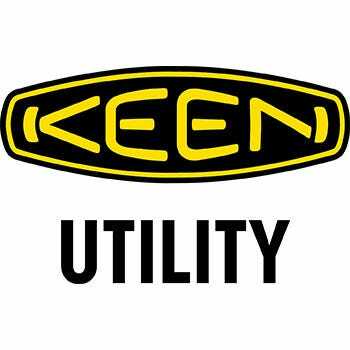 These lightweight work boots from KEEN are ideal for outdoor jobs like landscaping and construction. American built and ready for action, these black leather men's boots are proof that great quality still exists. Premium leather and KEEN.TUFFTEX tensile-strength fabric make these mean-looking uppers are tough as they look. The abrasion-resistant materials tackle job site hazards and daily wear and tear like a champ. Backed with KEEN.DRY technology, you'll have a waterproof toughness that lasts. The waterproof membranes that line these KEEN utility waterproof boots allow sweat vapors to escape so your feet can feel dry and fresh all day long. Meanwhile, moisture from the outside cannot penetrate inside. This means your feet are drier and better equipped to naturally regular their temperature year round - in the heat your feet feel cool and in the cold they feel warmer all thanks to the performance moisture-wicking technology. KEEN’s signature tough and heel guards protect these highly worn areas for a longer life for your favorite safety toe Concord boots. Inside the men's grey boots, you'll enjoy moisture-wicking linings and Cleansport natural odor control. The removable, dual-density metatomical left/right EVA footbeds offer support and cushion made just for your feet. The direct attach PU midsoles offer firm and flexible support for your every step with flexible stabilizing TPU shanks for added support. The anatomically correct steel toe caps are made for plenty of comfort and meet or exceed ASTM F2412-11 EH and F2413-11 I/75 C/75 standards. You'll also have electrical hazard protection on your side. The durable rubber slip- and oil-resistant outsoles are job site tough and made to help you walk confidently through slippery situations. These outsoles meet ASTM F1677-96 MARK II standards with the KEEN.GRIP technology. Light yet durable and made to work these tough and rugged KEEN Utility Men's Grey/Black 1018024 Concord Waterproof Steel Toe Work Boots from Working Person's Store tackle any job you have to face. These boots were comfortable. The sole on the bottom is beginning to break off. But otherwise a great boot. I have had them for 4 months. I liked the color and the look. They are cold for winter weather. I need to get some insulated ones. But for warmer weather perfect. I love keens. Whenever I try another brand, I always go back to the keens. KEEN Utility Boots: Men's Grey/Black 1018024 Concord Waterproof Steel Toe Work Boots is being added to your cart.